All of my low handicap and professional students learn to hit the 125 yard 7 iron. "I'm not impressed with someone that can hit the ball straight. What I am impressed with, is someone that can hit it the correct distance!" is a quote from Nick Price many years ago. It is very true statement. The average golfer rarely gets the right distance and most times is short of the hole. The professional golfer on tour goes long of the hole about the same amount times that they are short of the hole. Watch next time on television how good they are at hitting it the appropriate distance. Let's say that the normal 7 iron travels 160 yards in the air. PGA Tour professionals are capable of much greater length, but for this discussion we will use the standard as 160 yards. When practicing, that is the length that they want to be consistent with and the distance that can be relied upon with a normal swing. However not all shots on the golf course are that exact 160 yards. So if you just hit your regular 7 iron on all occasions, you will be long or short most times based on the distance to the pin. Touring professionals want to know the distance to carry to the exact yard in all cases. They are so finely tuned, that they know how much to take off their swing speed, shorten their backswing, or choke up on the club to hit three yards less to a pin of 157 yards. The expert players do not just hit standard irons shots. They hit and practice a variety of shots at different heights, trajectories, curvatures and lengths. They might have over fifteen different ways to hit a 160 yard 7 iron and can vary length consistently up to ten yards in both directions. When practicing and playing they are keenly aware of the distance they want to ball to travel. I introduce the concept of distance control with the 125 yard 7 iron drill. I ask my students to fly the ball only 125 yards. I want them to learn to hit their ball that short distance with a full swing with less clubhead speed; using a shorter three-quarter swing; and by gripping down on the shaft. I have been surprised how few of my really good players were not able to do this drill with any consistency the first time that they attempted it. All came for golf lessons to have a better swing, be more consistent and lower their scores. When challenged with the 125 yard 7 iron drill, I realized that they were a lot like the higher handicap player (but more talented) in that they strived to perfect the "standard" swing. 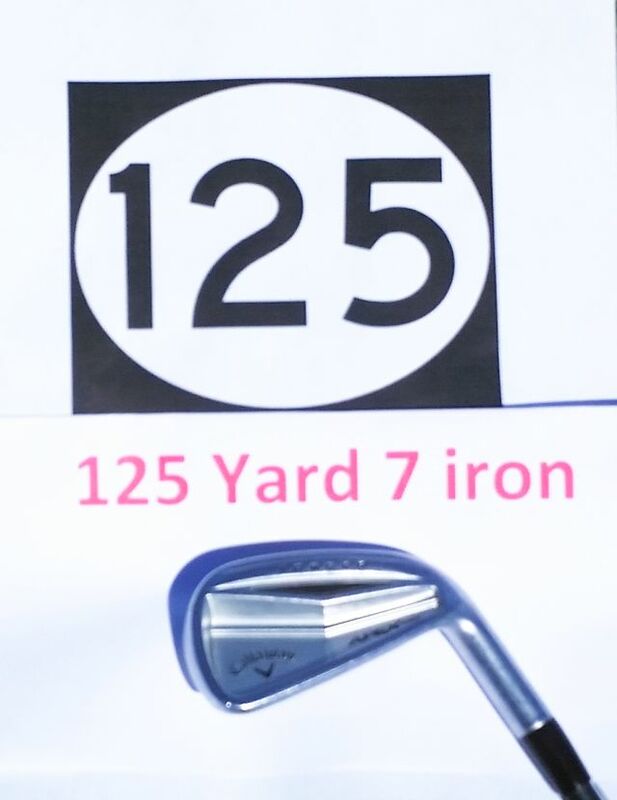 When they practiced the 125 yard 7 iron, they not only improved their swing, they felt their swings better, swung the club more effortlessly, and greatly improved their distance control with all of their clubs. I improved their swings, but they learned to be better players of the game by learning to feel their clubs better and to learn to hit the ball the right distance. Try the 125 yard 7 iron drill. If that is not a good length, try a 100 yard 5 iron. The key is to learn to hit a club that usually goes a longer distance and make it go a shorter distance. It will help your swing and improve your distance control, balance, tempo, and give you better feel.